Galliano was a London-based acid jazz group that was active between 1988 and 1997. The group was the first signing to Eddie Piller and Gilles Peterson's Acid Jazz record label. The original members were Rob Gallagher (vocals - credited as Roberto Galliano), Constantine Weir (vocals), Michael Snaith (The Vibe Controller) and Crispin Robinson (percussion). Other important members included Valerie Etienne, who participated in the recording of all their CDs, along with other musicians such as Mick Talbot on keyboards, Crispin Taylor on drums Ernie McKone on bass guitar, Mark Vandergucht guitar and Steve Ameedee, otherwise known as Uncle Big Man (dancer). Galliano provided the track used in the title sequence of Kevin Reynolds' 1997 film, One Eight Seven, starring Samuel L. Jackson. The track "Slack Hands" appears on their 1996 album :4. In 1997, Gallagher broke Galliano up, and pursued other musical projects, Two Banks of Four and Earl Zinger (the reggae singer). 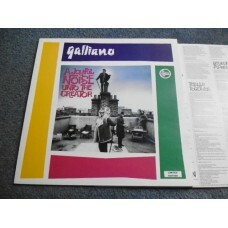 A Joyful Noise Unto The Creator is the second album by United Kingdom acid jazz group Galliano. 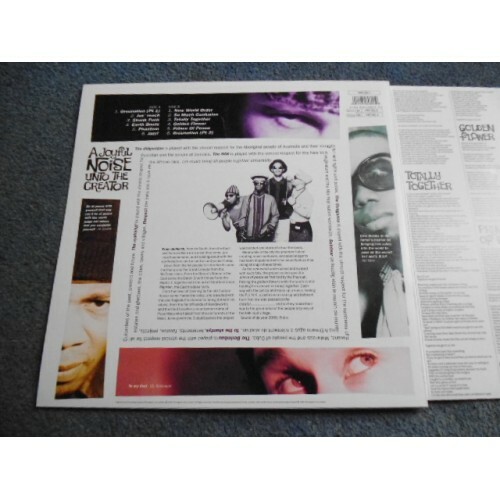 It was released on Gilles Peterson's Talkin' Loud record label on 8 June 1992. The album reached number 28 in the UK Albums Chart.